The more body that a pickup can capture, the more natural and inspiring the sound will be. The new M80 Magnetic Soundhole Pickup's built-in 3D sensor picks up the entire frequency range of your guitar's body and captures more of its acoustic soul than any single pickup ever created. The secret of the M80 is the patented floating secondary coil that acts both as a humbucking coil and a 3D body sensor. By deftly unlocking the secondary coil a robust full range signal is created as the body vibrates and the floating coil interacts with the magnets. The coil is tuned to respond to the entire frequency range of the guitar and the proprietary suspension allows each axis of the 3D coil to contribute, thereby adding enhanced richness and complexity to the sound. 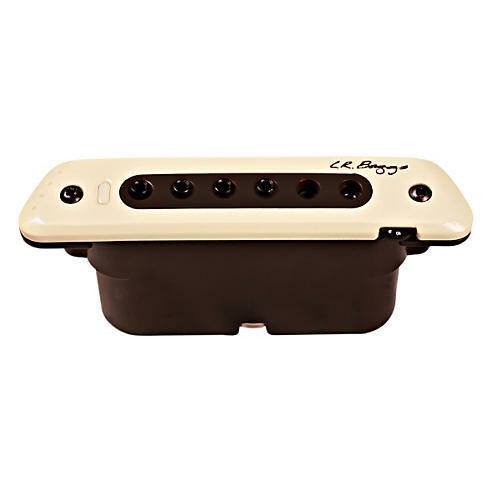 Finally, just the right amount of body signal is added to the string signal for an all-in-one pickup that will capture the character of your guitar like no other magnetic pickup ever created.